Limited edition 12” vinyl featuring vintage recordings by America's greatest post-war bluesman including the original 1956 studio recording of “Smokestack Lightning” plus “Killing Floor,” “Little Red Rooster” and many more! SKU: CLP6796-WHITE. Categories: Blues, Goldenlane, Vinyl. Howlin’ Wolf was one of the most important post-war American bluesmen whose Southern background helped define the “Chicago Sound” of the 1950s. Born and raised in rural Mississippi, Wolf (born Chester Arthur Burnett) began his musical career singing in his local Baptist church. While in his early 20s, the future legend moved to Arkansas where he began performing at local parties and juke-joints. Wolf soon caught the attention of KWEM, a prominent Memphis radio station, where he had the opportunity to work with such musicians as Sam Phillips and Ike Turner. Soon, Wolf brought his southern blues to Chicago, where he quickly built a devoted following. 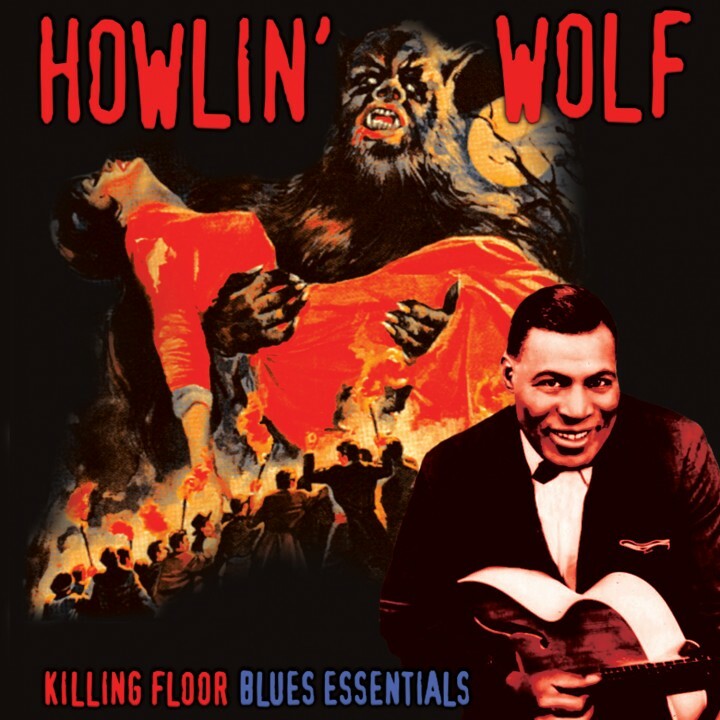 Over the years, Howlin’ Wolf’s best-known work, such as “Little Red Rooster” and “Killing Floor,” has been covered by rock luminaries the Rolling Stones, the Yardbirds, Manfred Mann, the Doors, and Cream. This vinyl collection brings together some of Howlin’ Wolf’s most treasured and influential compositions, which demonstrate the importance and significance of this truly one-of-a-kind artist. Limited edition 12” vinyl featuring vintage recordings by America’s greatest post-war bluesman including the original 1956 studio recording of “Smokestack Lightning” plus “Killing Floor,” “Little Red Rooster” and many more!